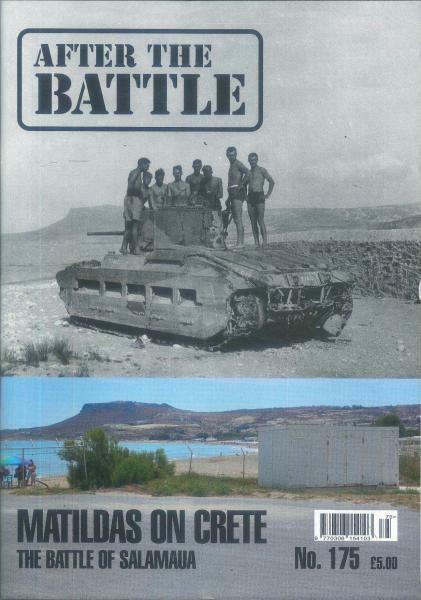 After the Battle Magazine was founded in 1973, and the premise behind the publication is to explore events from the Second World War and then compare the area where the battle or event took place to what exists today. Buy a single copy or subscription to After the Battle magazine. It is a UK quarterly publication with an emphasis on military history. The Magazine was founded in 1973, and the premise behind the publication is to explore events from the Second World War and then compare the area where the battle or event took place to what exists today. The interesting philosophy behind the publication makes for some interesting articles. The stories place historical pictures of events or places next to current photography of the same area or happening. Most issues have a theme with one major article on the subject combined with shorter articles about different aspects of the topic. After the Battle Magazine is international in scope. Be fascinated and moved by the historical look at battle grounds and events in the Second World War and see how they have changed or not changed in present time. The historical photos are both intriguing and poignant.